Based on the smartphone game bearing the same name, "Neko Atsume House" sets to put a story to the colorful, yet simple, world of decorating your home around keeping cats entertained. 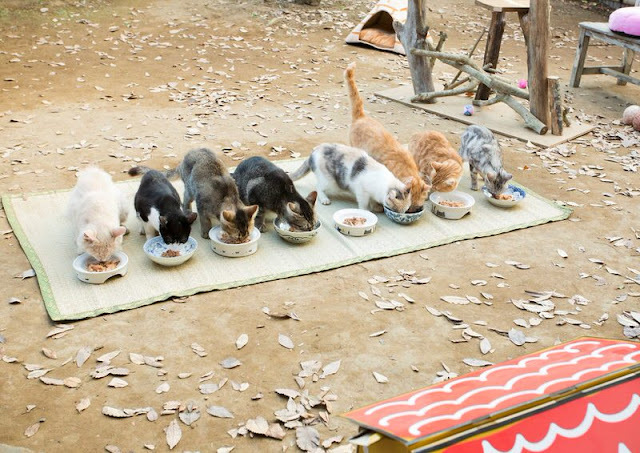 Neko Atsume House is screening at Japan Cuts, that will be on July 13 to 23. Novelist Masaru Sakumoto (Atushi Ito) is going through a rough patch in his career. Once a celebrated author, his work has not come under scrutiny by both his fans and publishing company, with the later forcing him to re-write his story to make the protagonist into a zombie, a choice which Masura begrudgingly goes forward with. As he watches one of his peers rise to stardom, Masaru strugglse to stay relevant within the industry. With the pressure on, Masaru decides that he needs some sort of change in his life and opts to rent a place far away from the city. However, the change of location does not seem to have an immediate effect on his work as he had hoped, delivering another ill fated chapter to his publisher, as his focus shifts to the stray cats who come and visit him. He begins an obsession with the felines, which eventually leads him to work for a cat supply store. It is here that he finds the serenity he has been seeking, and slowly begins to overcome the mental blocks that turned his career stagnant. "Neko Atsume House" chooses to mimic the color scheme of the game, making it a very bright film, from the lighting of the scenes, to the use of colour in the clothes and locations. This tactic, combined with the amount of product placement (Masaru drinks Red Bull almost religiously), gives the film a commercial feel. Atsushi Ito pulls off a good comedic performance as Masura, carrying a constant uncertainty with him, which makes his interactions with the rest of the cast a joy to watch. 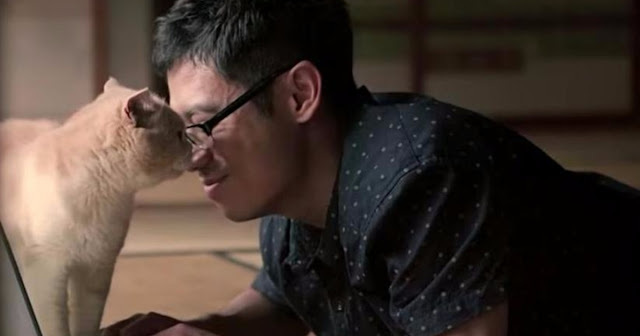 Perhaps my favourite role goes to Tae Kimura, who plays Yoko, the cat store owner, whom playfully antagonizes Masura throughout the film, even using mimicry of the cats he is trying so hard to charm. Since this production is based around the idea of living in a house filled with cats, I feel obliged to mention them here. I am always impressed with any production that can work with animals as I know it can be a patience testing process, but they seemed to get the most out of their feline models. There is plenty of cute cat footage to be found within this film, which, undoubtedly, is going to be the biggest draw for a lot of people. The movie will find a wide audience, given its source material and light-hearted content. There is also a lot of praise to be given to how well they were able to adapt a smart phone game into a feature length movie. This is one of the better video game adaptations I have seen, which is an odd statement, given the simplicity of the game. It does well to capture the visuals, music and the relaxing nature of the game. Unfortunately, there is also a lot here that will deter some people. As previously mentioned, this film does have a commercial feel to it and not all audiences will appreciate the constant warm tones and product placement contained in the narrative. It is also a pretty simple film that relies on it's source material to sell it, so if you are not a fan of the game, or care for cats, it will probably won't appeal to you. Viewing this picture, I had no previous knowledge of the game, nor do I have a particular fondness of felines. However, in the end there was enough to keep me entertained, but this is not a production I can recommend outside of anyone that I know would fall under the target market.